Donald A. Cowan, CPA, PFS, CFP®, began his career in 1976 at a CPA firm on Capitol Hill in Washington, D.C., eventually moving back to his New Jersey roots to establish leading accounting and profitability consulting firm Cowan, Gunteski & Co., P.A. in 1982. Don’s skills as a business advisor to privately held companies and high net worth individuals in a variety of industries allows Cowan, Gunteski & Co., P.A. and its affiliates to help clients improve business, create wealth and achieve goals. Don provides management advisory services in the areas of investment decisions, the evaluation of business structures and preparation of business plans. He has special expertise in the tax and financial planning areas and extensive experience in family-owned businesses, wealth management and succession planning. Don and his team help clients operate more productively and profitably through proper management and evaluation of operating systems. 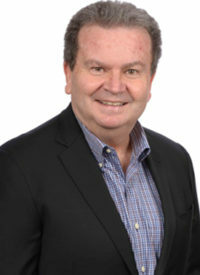 A graduate of Monmouth University, Don is a member of the American Institute of Certified Public Accountants and the New Jersey Society of Certified Public Accountants. He earned the designation of Certified Financial Planner® in May of 2005 and was certified by the AICPA as a Personal Financial Specialist in 2008.